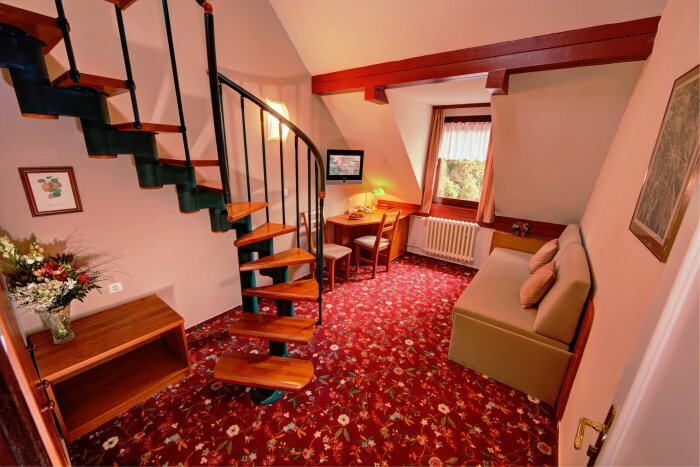 We prepared 25 cosy double rooms (possible also for single use) for you. 14 rooms are mezonet rooms with option of 1-2 extra beds. The hotel is equipped with a lift (w. 65, l. 95 cm). 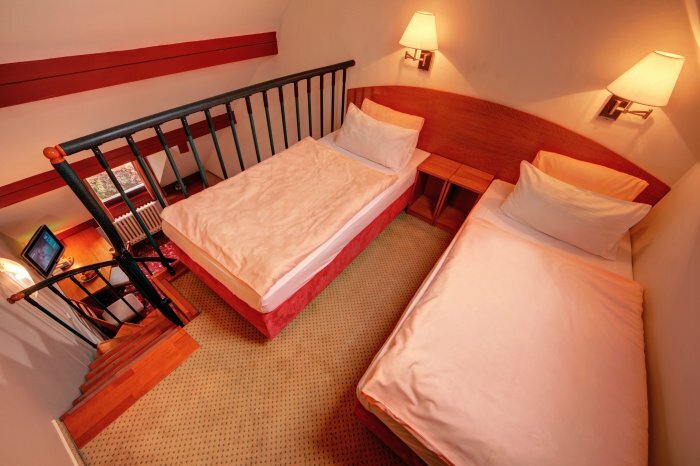 All rooms are equipped with shower (1 room is equipped with a bath), WC, comfortable hotel beds FBF , hair dryer, safe deposit box (laptop size), minibar (consumption isn´t included in the price), TV-satellite, telephone and radio. In most of rooms is the possibilty of WIFI internet access. Rooms are non-smoking. 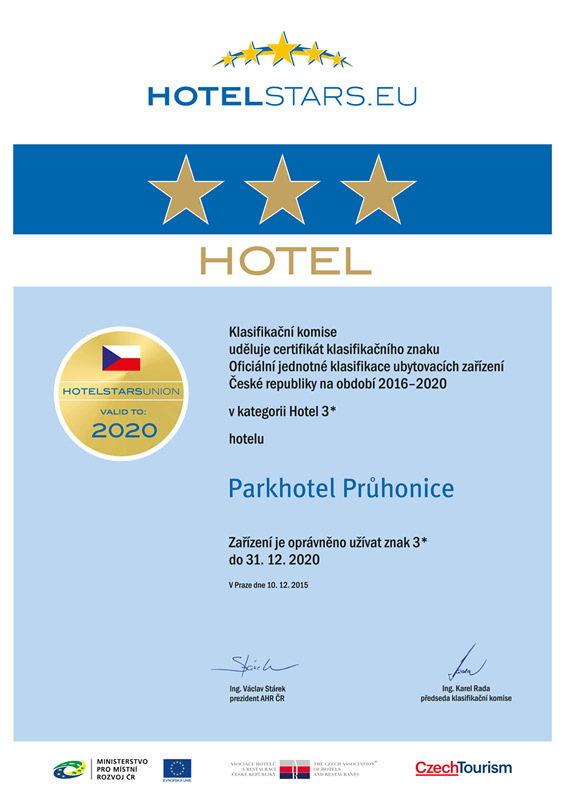 We will be glad to prepare on request a mobile air conditioning for your room for a fee of 300,- CZK/night. 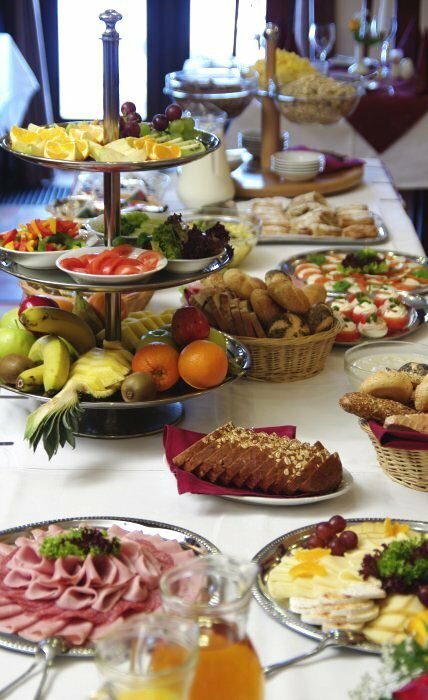 We offer our hotel guests discount 10% off the current menu prices on a consumation in the hotel restaurant. Our accommodated guests can also use services of the Aquapark Cestlice and HOP Arena Cestlice under preferential conditions - information at the reception. Write please Your request or order or contact us by email . Check current availability and price! We offer discounts for companies - contact us by e-mail loyal clients, travel agencies and at the weekends . Discounts are provided from "Basic rates 2018/19", not the from "Current prices." Prices are valid for bookings confirmed after 22.4.2019. Prices include breakfast, parking, Wi-Fi, VAT and local taxes. Corporate rates for companies and permanent guests. Travel agent and weekend discounts available. Children under the age of 8 accompanied by a parent are free. We lend gladly a cot to you. We offer for clients of Eye Clinic Gemini Pruhonice the discount 20% for accommodation from a.m. prices. We reserve ordered accommodation till 18.00 o´clock (unless otherwise agreed). We confirm you with pleasure other arrival time, if you wish.